Santa Baby, I Want an Upgrade and Really That’s Not a Lot | Santa Baby, I Want an Upgrade and Really That’s Not a Lot – AmeriTitle Inc. Wanting and needing are two very different things – like wanting to try all of the new coffee holiday drinks versus needing to try all of the new coffee holiday drinks. Same goes for renovating parts of your home: are you wanting to… or needing to? 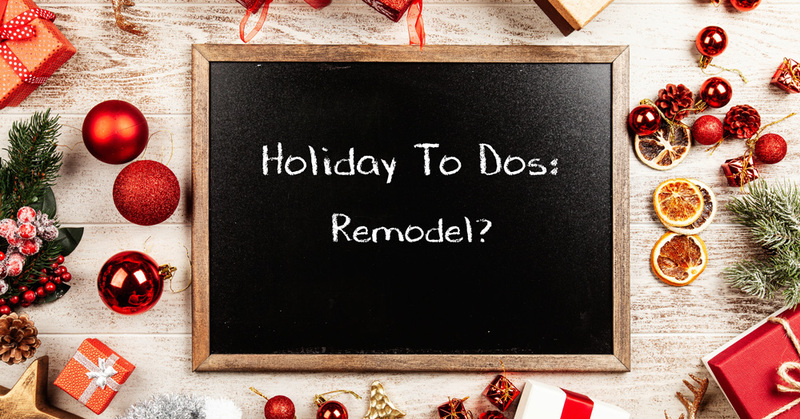 Luckily, there are other options to help spruce up a home if you’re not feeling up to the entirety of a remodel. Painting appliances can be one of the better ways to update your kitchen without having to do a total demolition. It updates the look of your appliances and gives it a fresher feel. You have to make sure you’re buying the appropriate appliance paint for the specific appliance: i.e., a moisture-resistant appliance paint for a refrigerator or dishwasher, and a heat-resistant finish for your stove or oven. Swapping out dated and older cabinet handles in kitchens and bathrooms can give the room a whole new look – and can be easily done! Your front door tells your home’s story – so what’s yours? Giving your front door a fresh coat of paint can turn a dreary entryway into a bright and welcoming entrance! And if you’re looking to sell your home, it’s the first thing potential buyers see. Not only does painting your front door give your home a more modern twist, but it also increases the value of your home. There are plenty of new opportunities to offer a livelier and cozier home for the holidays that will help increase your home’s value and make it more enticing to buyers if you ever plan on selling your home. What are some DIY opportunities you’ve done for your house?